With food being a part of our daily lives, it shouldn’t come as a surprise that the kitchen has seen a lot of innovations over the years. Tons of appliances can make certain cooking tasks simpler and hassle-free, helping you cut down your meal preparation time significantly and even healthier. The Air fryer Technology is one of the best examples of this with its simple operation and healthier cooking method. If you’ve been following the latest culinary news, you might have already heard about deep fryers before. Even celebrity chef Gordon Ramsay has endorsed one, firmly putting these appliances in the limelight. But what exactly is it and should you benefit from getting one? 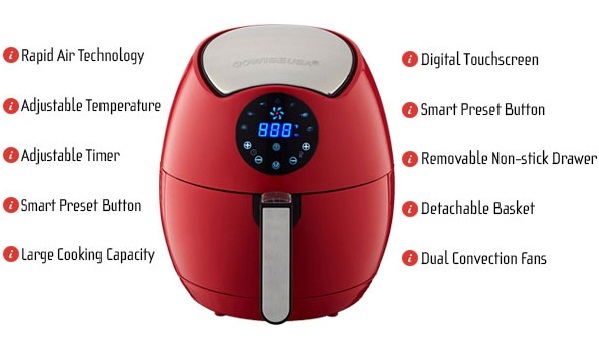 Learn more about the air fryer technology and all that it has to offer below. If you’re curious about air fryers, you’re not alone. So, here are eight of the most important things you need to know about these electronics to help you decide whether your kitchen will benefit from having it around. So, first off, you might be wondering how air fryers actually work. How can air possibly fry anything, right? Well, air fryer technology is actually pretty simple. It works by using hot air that reaches up to 392F and circulating it around the food. Basically, the kind of heat it uses is not amplified by the oil or any other liquid like in traditional cooking. 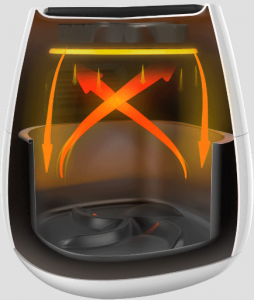 The hot air does most of the heavy work with the help of a mechanical fan to move the air around in top speed. This method, in combination with the Maillard effect, allows the food to get cooked with a crispy outer layer, offering a fried texture even with little to no oil use. 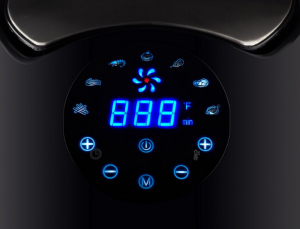 In most air fryers, the temperature is adjustable, so you can cook with precision. Some might also require the use of a tablespoon of oil or less, just to give the dish a hint of oiliness that somehow resembles the deep-fried flavor. One of the biggest selling points of air fryers is its little to no use of oil. This method promises to help you cut down your fat and cholesterol consumption without sacrificing the crispy texture people love in fried food. Because of this, air fryers are deemed to be healthier in many aspects than deep frying. With less need for oil, air fryers promise meals with lower cholesterol and fat content. This can be perfect for those with problems in their cardiovascular and digestive systems as well as weight. Aside from being good for your health, an air fryer can also be a great addition to any “high tech” kitchen. Lots of homeowners love to have tools and equipment that will not only make their space more beautiful but valuable as well, so if you’ve been working on increasing your home value by creating an ultra-modern kitchen, this can be the perfect piece to add to your collection. Honestly, the name alone of air fryers already sound like they’re from the future. It’ll surely impress guests when you tour them to your kitchen, letting them blend right in with your smart fridge, wi-fi enabled slow cooker, and food printer among many others. A lot of people will agree that oil splashing around is the worst thing that comes with frying. It hurts and it creates a mess which makes the whole process more tedious. But you have to endure everything if you’re craving for a crispy meal that can comfort you from a long day. With an air fryer, though, you can say goodbye to oil splashes and enjoy a fuss-free frying experience. 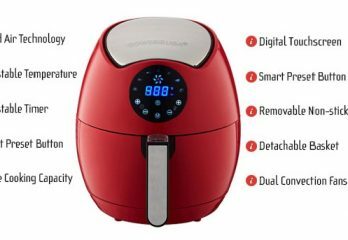 As this appliance encloses the food to cook it and as it doesn’t really use a lot of oil, you can rest assured that you won’t get hurt when cooking with this appliance. A very important thing that you really need to know about air fryers is that they’re not deep fryers. They’re not designed to replace the said appliances as they offer different results. Deep fryers are unique in its own right because it makes frying food more effective and efficient. It also has a distinctive taste. Air fryers are unique in their own rights as well. While they do try to replicate the crisp of deep fried food, they don’t really produce the same taste. As oil contributes largely to the taste of fried food, you can’t really expect air fried items to taste the same way. So, while air fryers will satisfy you in terms of texture, you should be aware that air fried and deep fried food doesn’t have the same taste. When it comes to kitchen appliances, items used by actual chefs tend to have more credibility. This is why when celebrity chef and restaurateur Gordon Ramsay endorsed air fryers, they instantly had become legitimate equipment that promises to improve your time in the kitchen. Because, honestly, if a well-known expert uses something, wouldn’t you be at least intrigued by it? Often likened to rice cookers, air fryers are very simple to use. All you need to do is load the ingredients into its food chamber, select the necessary settings, and you’re good to go. Some units may require a bit of shaking so the hot air can reach every part of the food, but there are also some models that come with a food agitator so you won’t have to handle the appliance while it’s cooking. In any case, it’s really very easy to operate. Another great selling point of air fryers is its ability to cook frozen food with ease. This makes it a healthier alternative to the microwave oven as it uses a less controversial form of heat to cook your food. You’ll also get to prepare dinner in minutes with this appliance, even when you forgot to thaw your frozen meal. While it’s perfectly understandable that some people may have reservations towards the air fryer technology due to its relative novelty, it doesn’t mean that you shouldn’t give it a shot. With so many benefits to offer, it’s certainly a promising kitchen appliance that can really help you make meals more easily.